Find the hidden Bible text in these printable Bible word search puzzles. 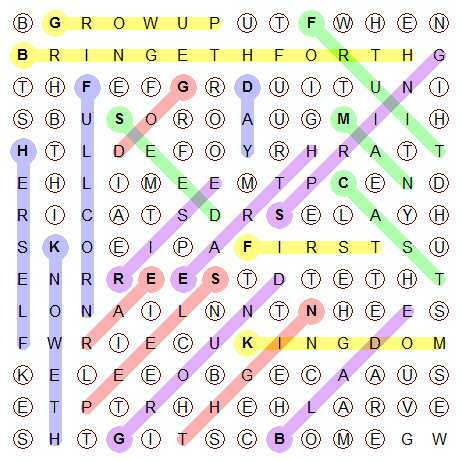 Find the words in the grid. When you are done, the unused letters in the grid will spell out a hidden text. Pick them out from left to right, top line to bottom line. Words can go across, down and in two diagonals. Daniel and the Lion's Den. Moses Red Sea Crossing printable puzzle the Solution, and link to the Bible Verses.